Over the years we’ve developed tons of web sites for resorts and general accommodation businesses. It’s been challenging as the market influences have moved considerably, with the push by the major discount services (like Wotif – wasn’t even around when we first started!) having a huge impact. Add to that the large number of sites that display hundreds of sites and you have some serious competition and challenges to get your property noticed. But there’s now a way resorts, luxury holiday homes and hotels can compete with the big players. We’ve developed this strategy based on some Facebook research and analysis of our own Facebook use (we provide Facebook services for a whole range of clients) – along with a bit of old-fashioned common sense. 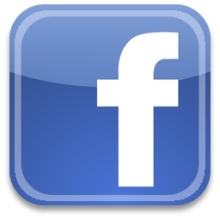 Facebook Inspires 52% Of Holiday Bookings! Skyscanner found that a staggering 52% of people said seeing friends’ holiday pictures on Facebook had inspired them to book a holiday to the same place. Think about that for a moment. Think about the power of a trusted friend providing an implied endorsement of your holiday resort or holiday home. It’s generally accepted that people are friends with others who are similar to them – that is, they have the same likes, interests, etc. Often they’ll be close in terms of socio-economic status. That is, they often make the same sort of $$$ – so they’ll have the same disposable income budgets. So if one of your guests posts updates and/or photos from your holiday resorts, then it’s a pretty simple thing to assume that action might generate some interest from their friends. Provide some amazing photo ideas/opportunities – maybe even have a photographer to take some family snaps for them? Provide incentives to upload photos – perhaps run a competition? 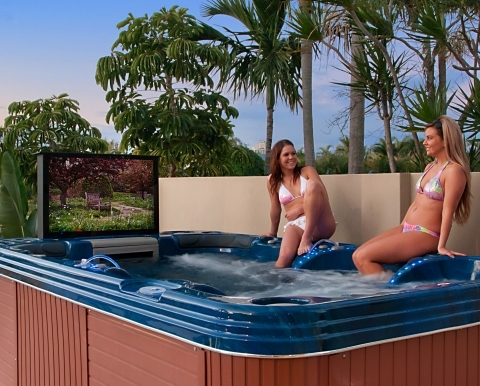 Yep, it’s a TV on the Spa! If you can have your guests upload photos and kind words about your facility, then you’re getting your resort or holiday home promoted to hundreds or thousands of your target market by a trusted friend. That’s brilliant and smart marketing.